Orthodontists are dentists who specialize in the diagnosis, prevention, and treatment of dental and facial problems such as misalignment, jaw irregularities, and crowded teeth. In children, most abnormalities are apparent after permanent teeth begin to erupt, but your orthodontist may prefer to wait until additional teeth come through. 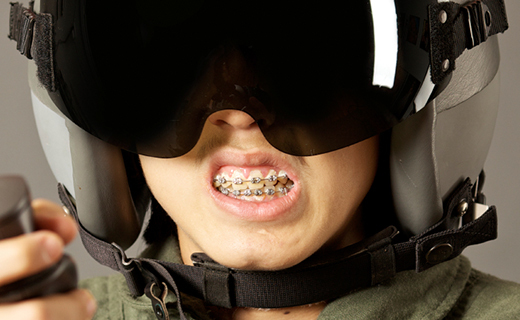 Dental braces for kids are generally placed between eight and 14 years of age while teeth are still prone to movement and facial bones are still developing. Adults may obtain orthodontic treatment at any time, including affordable braces. Your first consultation will begin with a thorough examination of your teeth and jaws. X-rays allow your orthodontist to see the exact position of your teeth. A panoramic x-ray is the most effective option; it shows all of your upper and lower teeth in their normal biting position. It also reveals any teeth that are impacted or are still developing inside your jaw. If needed, your orthodontist may also request a special head x-ray to reveal the size and position of your jaws in relation to your teeth. Creating a plaster model of the teeth helps orthodontists assess the bite. To make the impression for the model, you’ll bite into a soft material for several minutes. The plaster model or dental cast is created from the impression. It can then be scanned into a digital format for further evaluation or treatment planning. If you have crowded teeth, it may be necessary to remove one or more teeth to make room for the others. In extreme cases that involve severe misalignment, jaw surgery may be part of your treatment. After making any preliminary adjustments, your orthodontist will discuss your options with you, and formulate a treatment plan. In most cases, affordable braces that are bonded to your teeth will be the treatment of choice.